Heralding in a new era in the storied history of the brand, Four Seasons Astir Palace Hotel Athens is now open. 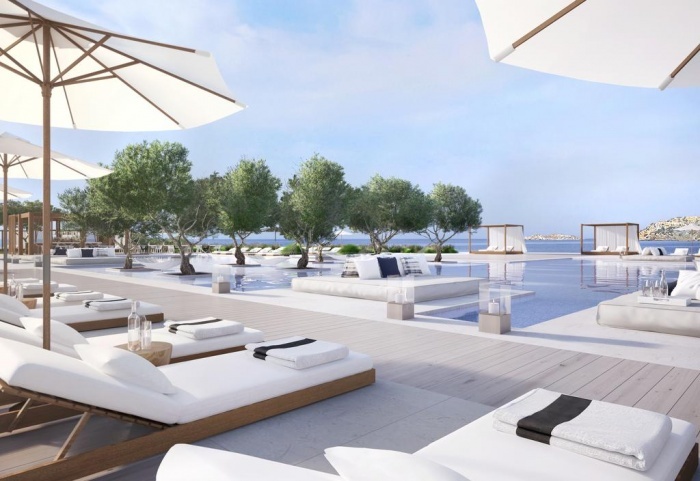 Inspired by the historic glamour of the original Astir Palace Hotel, the fully updated 300-room hotel nestled amid 74 acres (30 hectares) of lush seaside landscape on the shores of the Athenian Riviera is also the first Four Seasons in Greece. “It’s a landmark day in so many ways as we welcome our first guests to the new Four Seasons Astir Palace Hotel Athens,” enthuses general manager Sam Ioannidis, a 27-year Four Seasons veteran who leads a team of 700 handpicked staff. “So many of our people are locals or native-born Greeks returning to their homeland from around the world, or people who have deep roots in this culture and finally have the opportunity to live and work here. Located on a peninsula just 30 minutes from the city centre and a half hour from Athens International Airport, Four Seasons Astir Palace Hotel is the ideal choice for travellers who want to experience the best of ancient and modern Greece, weekenders from Athens or the region, families looking for a holiday that can be both fun-filled and educational, and couples who are beginning or renewing their lives together in one of the world’s most romantic destinations. Housed in two distinct buildings and a collection of private bungalows, accommodations options at Four Seasons Astir Palace Hotel range from light-filled rooms and suites to ultra-exclusive garden cottages. At Arion with its modernist architecture and retro-chic design, guests will find a laid-back vibe expressed in breezy rooms and suites. Four of the Hotel’s restaurants and lounges are also here, along with the Spa and indoor pool. At Nafsika, azure sea views dominate every room and suite – including some with private pool. The social hub Avra Lounge and Terrace is here along with two other restaurants, the fitness centre and several luxury boutiques. For guests seeking more space and privacy, and perhaps a little nostalgia, Four Seasons offers the Bungalows, originally built in the early 1960s, and now reborn with a fresh look and up-to-date amenities for today’s travellers.